"I was overwhelmed when I saw the elegant pair of Trumpeter Swans fly past my window with such natural grace and ancient testimony to a past we can only imagine. To be a member of your Society is the best support I can give to these rare and amazing creatures." 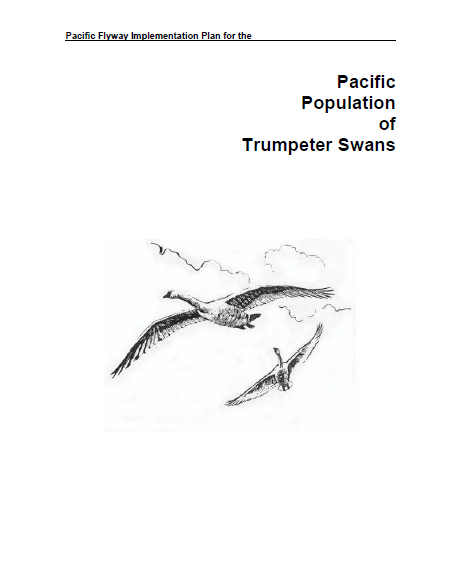 Nearly forty percent of all continental Trumpeter Swans nest, breed, or winter in the Pacific Coast Population (PCP). 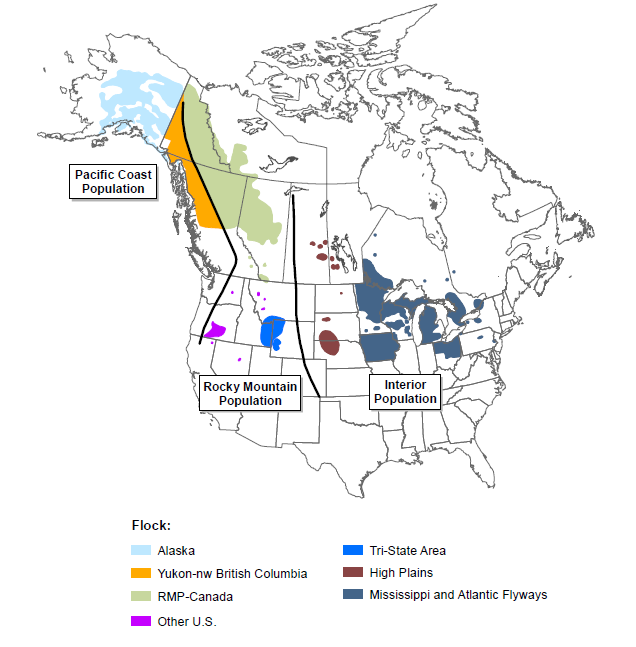 The Pacific Coast Population nests in Alaska and Yukon and winters along the Pacific Coast as far south as Washington. In 2015, there were a reported 24,240 Trumpeter Swans in the PCP, with 91% in Alaska and 9% in western Yukon and northwestern British Columbia. 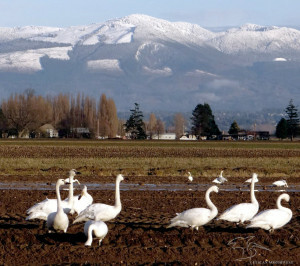 Most of these swans winter in Washington and British Columbia. The continuing loss of winter habitat is reaching critical levels due to: a) pollution and the conversion of freshwater and saltwater areas to development and housing and b) loss of "waterfowl friendly" cropland and a reduction in agricultural crop residues useful to wintering swans. Growing loss of nesting habitat in Alaska to recreation, farming, mining, drilling and harvesting of natural resources. The impact of a changing climate on important Alaskan nesting and breeding grounds as interior wetlands dry and permafrost disappears. Continuing mortality threats of lead poisoning and powerline collisions. TTSS is committed to addressing these important issues. We need your help. The loss of quality wintering habitat is one of the most critical and immediate challenges facing the Pacific Coast Population. We have identified important wintering sites and habitat protection strategies. With your support, TTSS can continue working diligently and cooperatively with stakeholders such as farmers, dairymen, agencies, and conservation groups to secure and protect quality wintering swan habitat. TTSS has a long history and commitment to addressing lead poisoning in the region. We strongly encourage hunters and anglers to switch to nonlead, nontoxic ammunition and fishing equipment. Help "Get the Lead Out." TTSS is also committed to working with utilities to reduce the number of bird collisions with powerlines. Your support makes that possible. Trumpeter Swans are restored and managed by Flyways. There are 4 North American Flyways: Pacific, Central, Mississippi and Atlantic. 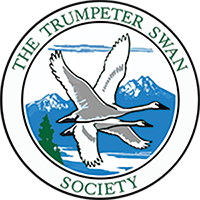 We are your voice on the Swan Committee in each Flyway to assure the vitality and welfare of wild Trumpeter Swans. Trumpeter Swans are restored and managed by Flyways. 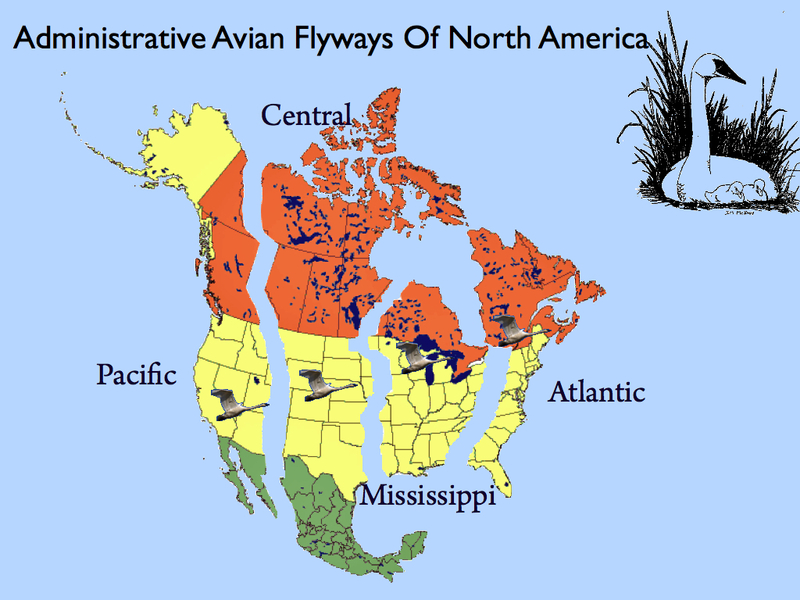 There are 4 North American Flyways: Pacific, Central, Mississippi and Atlantic. The Pacific Coast Population is in the Pacific Flyway.